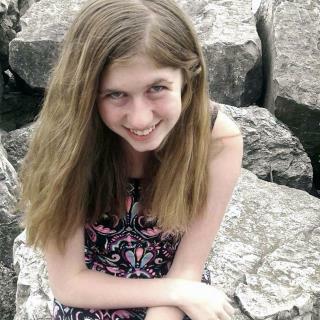 (Newser) – The parents of a missing 13-year-old western Wisconsin girl were shot to death, and Jayme Closs was apparently home at the time, the sheriff says. Barron County Sheriff Chris Fitzgerald said Wednesday that the deaths of James and Denise Closs early Monday have been ruled homicides, USA Today reports. He said their daughter, who is not a suspect in the killing of her parents, is in danger, but he has a "100% expectation that she's alive." He said the bodies were found after a 911 call from the home in the small city of Barron in which nobody spoke directly to the dispatcher, CNN reports. He said investigators don't know whether the attack was random or targeted. Why is it always Wisconsin? My money says she met an older guy online, probably FB or other social media, and he killed the parents and took the teen, willingly or not. As the police aren't talking about anything being stolen or money disputes, the girl must have been what the killer(s) were after. It seems like kind of an extreme crime to just be random. So there's my "armchair detective" analysis based on similar cases. Bill Clinton sure gets around, doesn't he?